Don't You (Forget About Me) was reissued as part of the celebrations surrounding Virgin Records' 40th anniversary dubbed 40 Years Of Disruptions . 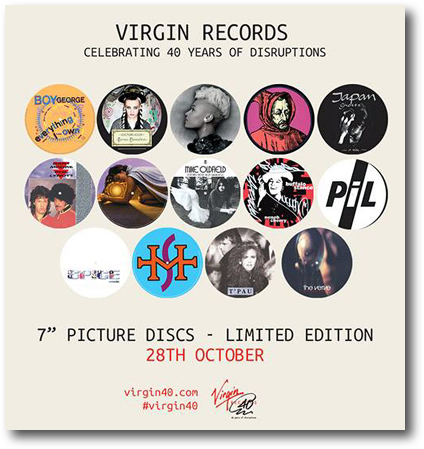 A series of very limited edition 7" picture discs were issued for various Virgin artists. 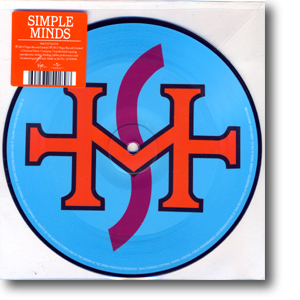 The Simple Minds reissue was for Don't You (Forget About Me). However, the original limited edition release was of a shaped 7" disc cut from an original 12" master - this 7" was simply a reproduction of the original logo on a 7" disc. It featured the same tracks as the original 7". The disc was pressed on heavy-duty vinyl and housed in a clear plastic sleeve with a sticker. Unlike the original, the sticker simply carried the label copy - there was no indication that this release was a limited edition nor how many copies were pressed. Once Upon A Time was also promoted as part of the anniversary celebrations but this was simply the 2002 remaster. 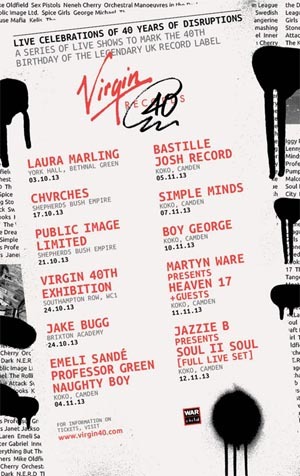 Also, as part of the 40 Years Of Disruptions , Simple Minds performed a showcase event at Koko in London.